Zack Snyder and Warner Bros. really played to their audience at this year’s San Diego Comic-Con. During a panel for the director and studio’s upcoming superhero smackdown, Batman v. Superman: Dawn of Justice not only did they have the holy comic book trinity: Batman (Ben Affleck), Superman (Henry Cavill), and Wonder Woman (Gal Godot) together in person (but obviously not in character), not only did they reveal a picture of Godot in her Wonder Woman costume, they also treated the audience to a teaser trailer. It starts with thunder and rain, as a hand pulls a tarp off of something… it’s Ben Affleck’s Batman on a Gotham City rooftop, and he’s in the full bat-armor from Frank Miller’s The Dark Knight Returns. His eyes are glowing white, and we see that what he’s pulled that tarp off of is the bat-signal. He turns the signal on and the famed bat symbol fills the sky… but then we see it’s aimed at something. At a man floating in the sky. A super-man! Cut to a close-up of Henry Cavill’s Man of Steel as his eyes start to glow with heat vision. Cut back to Batman whose eyes are still glowing white. It’s the stare down of all stare downs! Cut to the title screen: Batman v Superman: Dawn of Justice. 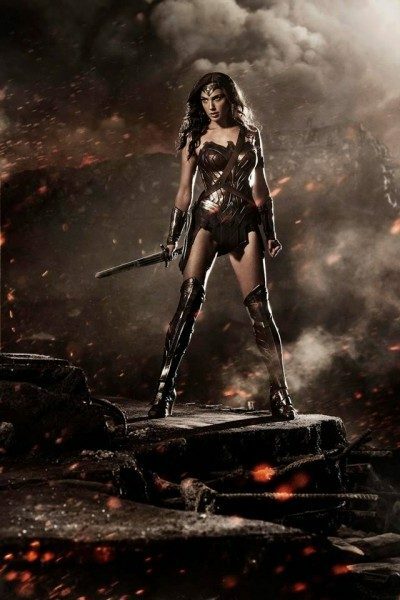 It appears much like Superman’s costume in Man of Steel, Wonder Woman’s traditionally bright colors have been darkened. That may be detestable for comic purists, but at least the look will be consistent between Snyder’s two films. 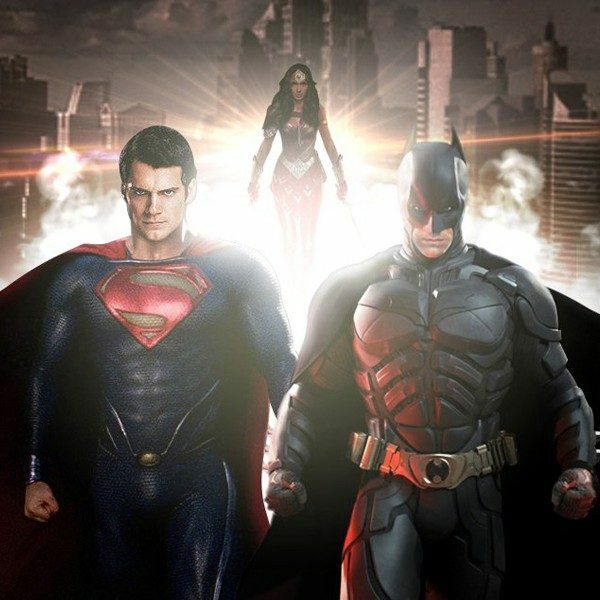 Batman v. Superman is set for release May 6, 2016.